Most non-profits recognise the value of annual reports to demonstrate the year’s accomplishments and acknowledge important contributions. Showcasing results so that people can see how you spent your time and money and the difference you are making in a user friendly way can greatly enhance your organisations strength in the minds of stakeholders and the public. Good visuals can be as important as the text in showcasing your achievements. Breaking up copy with interesting graphs, graphics, breakout quotes and case studies, good strong images and a logical layout helps to engage the reader and get your story out to more people. 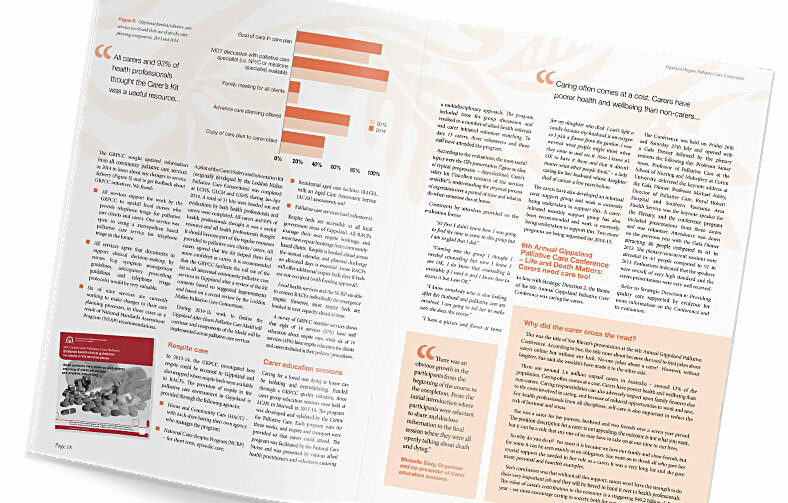 KahrenR Design has designed several very successful annual reports for non-profit organisations, greatly improving on the design and story telling outcomes in a most cost efficient manner.